Push-button ballpen with stylus tip for use with touchscreen devices. The System 083 Ballpen has a coloured translucent top and metal clip, while the white barrel is ideal for 360° digital printing. 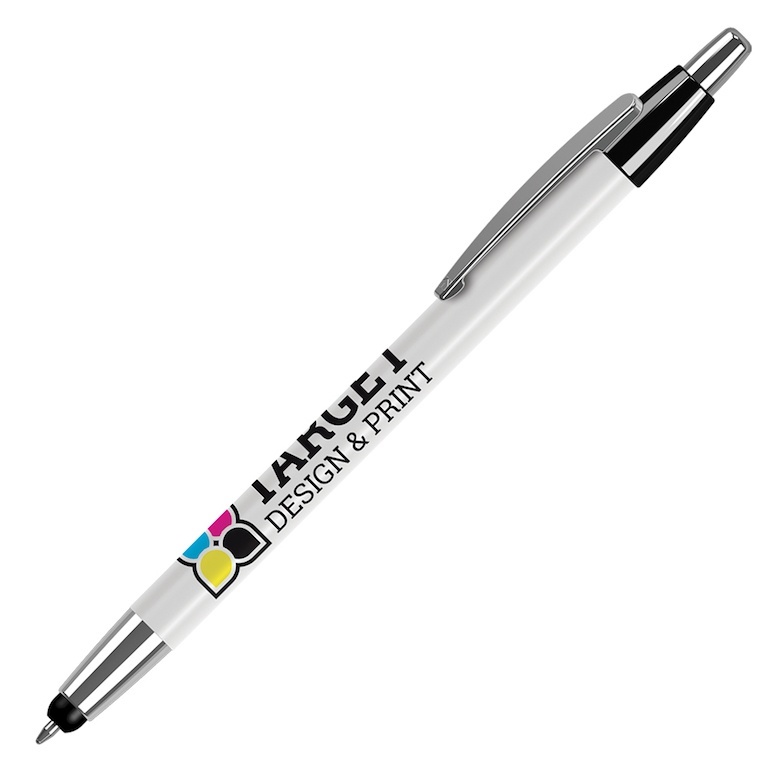 Spot colour printing is also available to a large branding area, making this an ideal promotional pen with a techie touch.